Dating back to the fourth-century AD, the Archbasilica of St. John Lateran in Rome is considered the world’s first cathedral. Archaeologists have now used cutting-edge technologies to examine the history of this church as well as what existed before it was built. 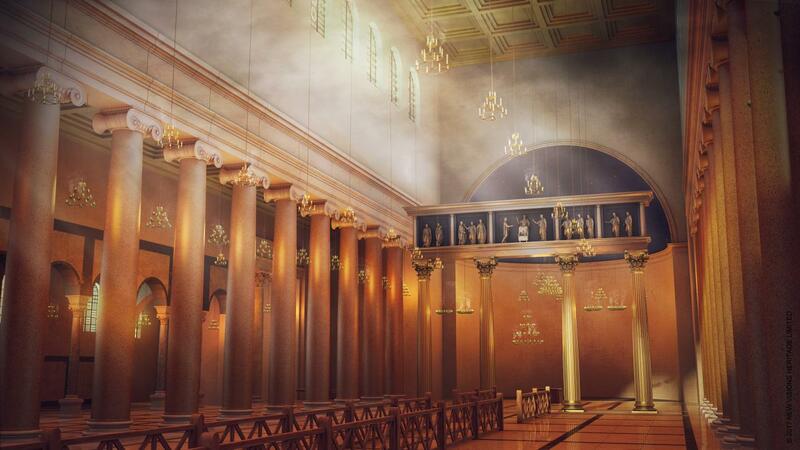 The Lateran Project, supported by the British School at Rome the team and including researchers from Newcastle University, the University of Florence, the University of Amsterdam and the Vatican Museums – has developed first ever holistic picture of hundreds of years of Roman history by using digital mapping, ground penetrating radar and 3D visualisation techniques. The Archbasilica of St. John Lateran, the Pope’s own cathedral, was originally built on lands donated by Emperor Constantine ( 306-337) and officially dedicated in the year 324. Positioned on the Caelian Hill, the church would have dominated the Roman skyline at the time. “The land may have been given to the Church within weeks of the battle. A decision was certainly taken pretty soon afterwards and work on the Lateran started some years before it did on St Peter’s,” added Professor Haynes. “The cathedral was rebuilt in the 1650s but there is still original Constantine fabric in the walls, while the original foundations are exposed beneath the church.